Posted on January 18, 2012	by Michael Gorton, Jr.
You need a spark to start an engine. You need a spark to light a fire. You need a spark to keep a relationship going. You need a spark to get things in motion and keep them moving. 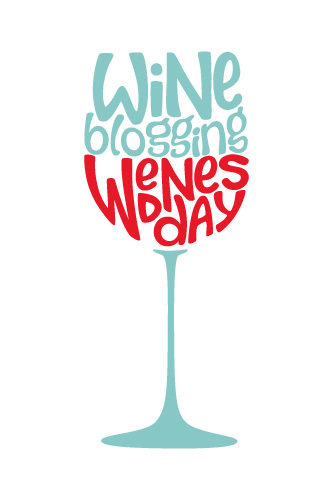 I had originally thought that this edition of Wine Blogging Wednesday topic, “Spark” was supposed to be what sparked us into blogging. I had a whole concept and draft written. Then I re-read the original post and realized it was about a wine, not an event. If it were an “event” it would have been an event such as this. Wine Blogging Wednesday was made me want to get into wine blogging. And for that post, you will have to wait. Lets talk about what wine “sparked” my interest. This time for Wine Blogging Wednesday, hosted by The Corkdork, we were given the task of going back to the start and find that spark that started it all for us. This one was easy for me, because not only did it get my juices flowing and totally sparked my interest in wine; but to this day it still is my favorite white varietal. I was captivated the first time I tried this variety. I can remember my very first bottle — Fetzer’s Gewürztraminer. The nose, that spicy, floral aromatic nose. The zippy acidity, the lush mouth filling tropical fruit palate with hints of roses. You either love it or hate it, there is almost no in between. Gewürztraminer grows best in cool climates and it is a very temperamental grape. It hates chalky soils. Loves cool nights and warm days. It buds early and is susceptible to frost. Loves dry weather, and can rot with too much rain. Too much heat will increase the sugar levels bringing you high alcohol along with great aroma and flavors, but then has no acidty to balance it out. If you pick early to hold the acidity, you lose all of those wonderful aromatics. When it is time to harvest, and i saw this first hand, it could be flat and have no flavor, when the next day it is ready for picking, it is a very erratic grape. It has a pink to red colored skin which when pressed exhibits golden white juice. It can be dry, to off dry to sweet in flavor thanks to its high amount of natural sugar. Rose water, lychee and passion/tropical fruit flavors are very typical of Gewürztraminer. The one Gewürztraminer that received alot of attention around my house lately is Anthony Nappa Wines Spezia ($18). Gewürztraminer translated means Spice Traminer. 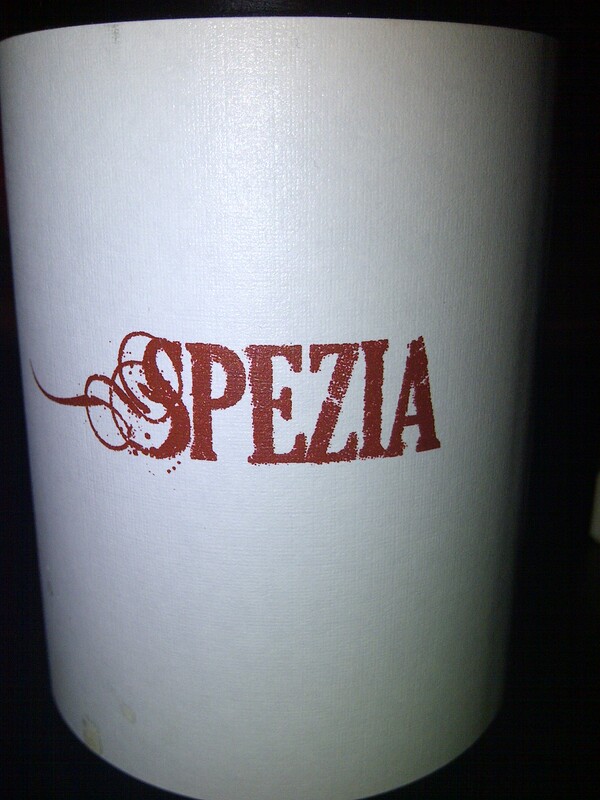 This wine is named Spezia because Specia is spice in Italian. The origin of the grape Traminer is from a town in northern Italy called Tramin where German is the spoken as well as Italian. Anthony Nappa, winemaker and co-owner of Anthony Nappa Wines, along with his new bride Sarah Nappa, almost never got to make this wine. Joe Riley, a grower in Cutchogue had some Gewürztraminer that was contracted out to some one else. The grapes had developed some botrytis and the person walked away. Long afer most had picked their reds in the grand 2010 vintage, Joe Riley still had the Gewürztraminer hanging. Anthony went down to see it and decided to take it. It was almost a late harvest Gewürztraminer and over 80 % of the grapes were affected with botrytis. But thanks to it being a hot dry season, it had all dried out and it was full of noble rot. When it came time to make the wine, Anthony had to decide what to do with it, go late harvest desert wine and make it sweet or go make a bone dry wine. What Anthony came up with is like no other Gewürztraminer I have ever had before, and one I may never have again. On the nose you pick up a ton of aromatics, rose petal, peach apricot, lychee, tropical fruit and spice. THere is some mango, dried pineapple and dried ginger tucked in there as well. If you love aromatic whites, you would want to go swimming in the glass. The palate brings more of the nose aromas but with a more intense dried tropical fruit and spice note. Here is where I picked up the botrytis. It’s noticeable and enjoyable. Dried pineapple, dried apple, lychee, mango, dried coconut, ginger, citrus and floral notes all appear on the palate. The palate is lush and oily, thanks mainly to the botrytis. You can pick up the heat of the wine, there is 14.6% abv. But it is well-balanced and well-integrated. Great acidity makes this viscus wine most enjoyable. The finish brings more rose petal, herbs and a candied ginger lemon zesty end that lingers for a while. But were I found this to be absolutely delicious is with food. Spezia needs food and goes great with it. To have it alone with out food is an injustice. I had this with a goulash and noodles and it sang. The wine cut the richness of the gravy. I have tasted this wine in multiple stages, at the bottle line, at release, a while after release, at Thanksgiving and just recently as this weekend. I think that it is hitting its stride and is really starting to open up and become the wine it was intended to be. Anthony hopes to make Spezia again, but it may not be anything like the 2010 Spezia. Everything was just right for this wine and it is only starting to come together now. Well, my spark has been revealed, while some of you may have known it, others may not have. The wine that started it all for me is one that still captures my attention. So what sparks you in the wine world. I would love to know. This entry was posted in 2010, Anthony Nappa Wines, Gewürztraminer, Long Island. Bookmark the permalink. Thank you Micheal. I have recently enjoyed this wine and it is HUGE. I thought this was a skin fermented wine, at least you know, extended skin contact, but wow. A botrytis grape made bone dry. Thanks for posting this. Thanks for reading and for taking the time to write. This truly was a special wine that Anthony made. To make this bone dry when he could have gone desert is a little hard to understand. In the long run, I think he made the right decision. I plan on picking up a few more of these and see how it evolves over time. I think the Botyrtus part of the wine is one that people find it hard to understand, but when they do, I think they appreciate it even more! of America’s most outstanding Catholic leaders, died on March 5, 2015.
to be like at the Kinderstransport – a program meant to remove Jewish youngsters from Nazi controlled territory.